Consider for a moment the entire range of products offered by Ford Canada: new and used vehicles, servicing, parts, and accessories. 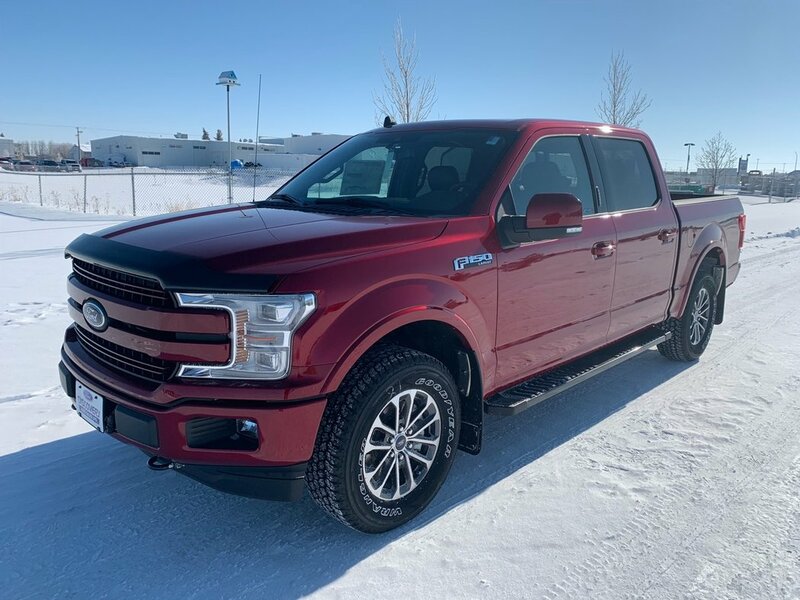 If you live near Humboldt, Bruno, Prud’ Homme, Sagehill, Saint Benedict, Middle Lake, Pilger, Fulda, Marysburg, Muenster, Saint Gregor, LeRoy, Englefeld, or Lake Lenore Saskatchewan, Discovery Ford Sales is your closest source for all that and much more. Our recently built and relocated Ford dealership has the amenities you expect and appreciate, such as drive-thru quick lube bays, detail bays, complimentary tire alignment check with all service visits, a customer lounge, an expansive showroom, and friendly, knowledgeable staff to take care of you and your vehicle. From the first Hello to the final handshake, you’ll see the difference commitment to you makes. Discovery Ford Sales, meeting and exceeding expectations, today, tomorrow and ALWAYS. Whether you’re looking to trade up to a brand new F-150, purchase an economical and reliable certified pre-owned Focus, or pick up some genuine Ford accessories for your Edge, we can supply you with the information and friendly service that has allowed us to see so many returning customers over the years. Of course, there’s always room for one more! Buying an automobile from Discovery Ford Sales is just the start of a lasting relationship. Call us today at (306) 682-2652 or visit our Ford dealership in person. We’re conveniently located on Hwy #5 West, Humboldt. This metal element, the third most abundant in the earth’s crust, and long reserved for aerospace applications, is being used throughout the body and bed of the new 2019 Ford F-150 Lariat… What is aluminum, Alex! There’s no question that the 2019 F-150 is a game-changing truck. From up to 700 pounds of weight savings, better braking, better fuel economy, better handling, with optional 2.7L EcoBoost V6 that cranks out 400 ft-lbs of torque, 325 hp, and a heavy-duty new look that makes the competition look dull, the 2019 F-150 is sure to continue Ford’s Over 53 years of truck sales dominance.